Dog Might Games is back with its newest title Countdown: Action Edition! With a short play time, tons of player options, built-in moderator, and unique role-playing mechanics, Countdown: Action Edition delivers a totally new hidden role experience. 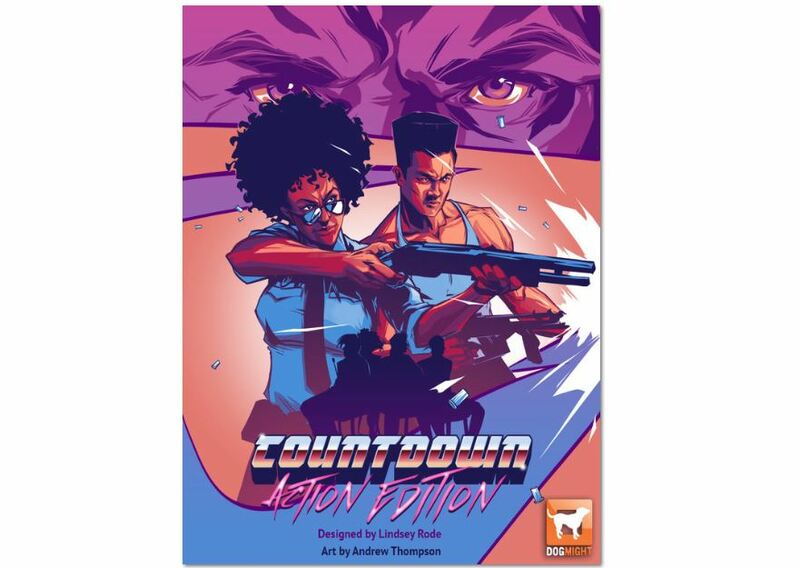 In Countdown: Action Edition players become characters within a 1980’s action flick. Villains have taken hostages and rigged the whole place to blow, but they didn’t count on the timely arrival of the Action Hero. Thinking fast they’ve hidden themselves among the hostages waiting to be released. There’s not enough time to save everyone. Get the innocent hostages out while leaving the bad guys behind to fall victim to their own plots. Unfortunately for our Hero, many of the hostages also have their own plans to use this situation to their advantage. Jam packed with nostalgia and humor, Countdown: Action Edition offers many new twists on the beloved hidden role genre. Click the link below to learn more Countdown: Action Edition and you can play the game early by joining the Dog Might Playtesting Team!